Preparation instructions: Stir contents of envelope into 1 gallon (4 quarts) cold water. Pour over ice and serve. Make fresh batch daily. Arizona Half and Half Iced Tea Lemonade Stick, 1.2 Ounce - 10 per box -- 12 boxes per case. Aiya Matcha to Go Tea Stick Packs, 10 count per pack -- 8 per case. Aiya Matcha Zen Cafe Blend Green Tea Stick, 12 count per pack -- 8 per case. Lipton Diet Raspberry Iced Tea Mix Powder, 2.6 Ounce -- 4 per case. 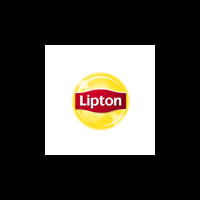 Lipton Diet Peach Iced Tea Mix, 2.9 Ounce -- 4 per case. Lipton Sweetened Mango Instant Tea Mix, 10 Quart -- 6 per case.